Voltas aims to create technologically advanced products which are expected to start rolling out from the second half of 2020. 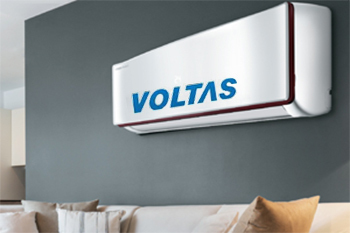 Voltas Ltd – a Tata Group enterprise, the undisputed market leader for residential air-conditioners in India, with more than 24% market share, has announced its intention to start construction of their new manufacturing facility, spread over 65 acres, in Tirupati. This facility will initially manufacture and assemble air conditioners and related cooling products with a total capacity of more than 1mn units to start with. Continuing its thrust on Research and Development, Voltas aims to create technologically advanced products, which are expected to start rolling out from the second half of 2020. The company plans to invest over Rs500cr while putting together an OEM base for home appliances, and simultaneously creating local employment opportunities in the region. This manufacturing facility will be one of the first cooling appliances unit in the State of Andhra Pradesh. The choice of Andhra Pradesh as the destination for the new manufacturing unit was due to the State’s ‘ease of doing business’, and growing focus on ‘Make in India’. The chosen location provides dual benefits of superior market access and cost effective connectivity via road and port.